This is my CV, last updated Dec 2015. Most of these projects have associated blog posts on this site. Journal of Statistical Software. Vol. 24, Issue 7. Journal of Social Structure. Volume 7, Number 2. Information transmission in social groups: communication, networks, and interaction. BA Thesis, Bennington College, Bennington VT.
Skye Bender-deMoll and Martina Morris (2015). tsna: Tools for Temporal Social Network Analysis. Skye Bender-deMoll, et. al. (2015). networkDynamicData: Dynamic (Longitudinal) Network Datasets. 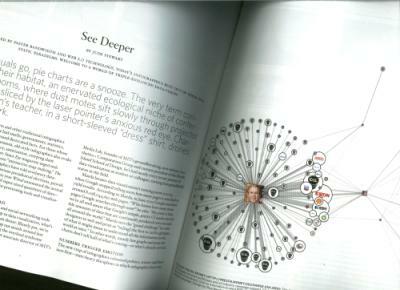 ndtv: Network Dynamic Temporal Visualizations. Carter T. Butts, Ayn Leslie-Cook, Pavel N. Krivitsky and Skye Bender-deMoll (2012). networkDynamic:Dynamic Extensions for Network Objects. nodeviz: Framework for displaying interactive network graphs in modern browsers. SoNIA: Social Network Image Animator. An Interactive Web Application for viewing Oil Industry Contribution Network Data. Report for Oil Change International. TransparencyCamp 2010, George Washington University’s Graduate School of Public Management. March 27, 2010. Skye Bender-deMoll and Dan McFarland.